In the world of inbound marketing, factors such as search rankings and brand reach can be the make or break between a new customer finding and choosing you over one of your competitors. Whether you're just getting started with inbound marketing or have been practicing the methodology for a while, having awareness of what other players in your industry are doing and how they are performing is invaluable. This will help you learn where you need to improve to outperform your competitors and ultimately, deliver your business more leads and sales. 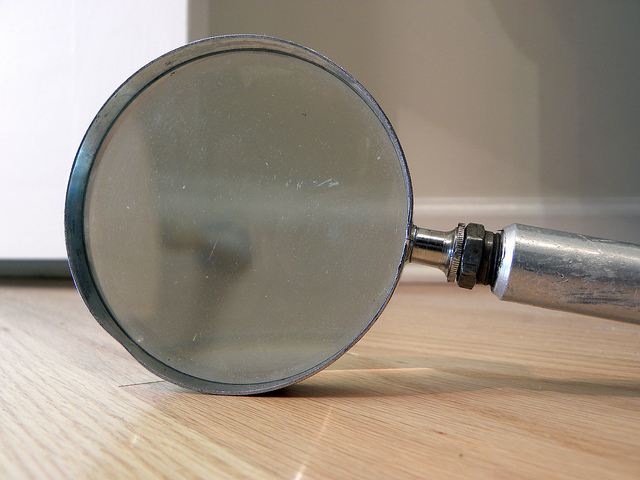 To get started with your competitor analysis, here are a few things you should be looking for. Remember, competitor analysis isn't a quick and easy process and you shouldn't just do it once. Just like you, your competitors will be reviewing and improving their marketing campaigns so you need to repeat the process regularly. A good place to start is with your competitor's website. Look at elements such as website navigation, content, tone of voice and images. It's important to analyse how easy it is to access information and how clear the messaging is. Take a look at our website scoping and competitor analysis blog for a checklist of website factors to look for when conducting your research. What keywords are your competitors focusing on? Keyword research is an important part of the competitor analysis process as this will help you identify new keyword ranking opportunities that your competitors have missed (and often some you may not have thought of). Check your competitors' Meta titles and descriptions on each of their key pages and make a note of the keywords they are using. Other things to look for are the density of keywords in the page copy and the page URL. Be sure to check the difficulty level and monthly search volume of any keywords you come across before attempting to optimise your content for them. You don't want to be ranking top for a keyword that never gets searched for, or worse still, trying to optimise for a very competitive keyword that you have little chance of ranking for. 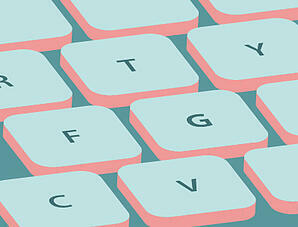 Here's a handy guide to keyword research to follow if you're feeling a bit stuck. Do your competitors have a blog? If so, how regularly is it updated and what sort of content do they post? It's best to follow the 80/20 rule as a guide: It's good to include news about your company such as new products, client testimonials and upcoming events from time to time, but make sure this makes up no more than 20% of your blog content. 80% of your content should be geared towards sharing useful information and advice for your target audience. This will help position your company as a trusted adviser and thought leader in your industry. This brings us on to the next point; conducting a content analysis and looking at competitor offers. Have a look at what content your competitors are creating, where it sits on their site and how they share it. Keep an eye out for long form content and offers such as buyers guides, eBooks, Whitepapers - anything non-product related that is geared towards providing insight or addressing an audience need or problem. Next, audit the content on its quality and usefulness. Use your own judgment, but also keep an eye out for things like social sharing counters which will give you an indication of popularity. Also keep note of the frequency at which the content distributed and where your competitor is sharing it. Look for areas of opportunity that you can capitalise on with your content. What social networks are your competitors using and how integrated are these networks with the rest of their marketing communications? What tone of voice are they using? Do they get much audience interaction with their posts? Do they actively communicate in discussions on LinkedIn Groups or relevant forums? Another thing to look for is whether people are talking about your competitors online? 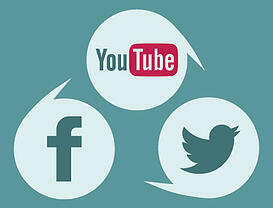 Look for things like positive social mentions, ratings and reviews and testimonials. This is known as Social Proof and it's a very powerful tool if utilised correctly. It's important not to overdo it and blow your own trumpet too much, but positive recommendations from users of your products and services provide infinitely more credibility than self-promoting content. Look at how your competitors are utilising positive user reviews and mentions (if they have any). You can also find out more about social proof, and how to utilise it on this blog. A Moz rank measures the authority and popularity of links to your site. This is scored by Moz on a scale of 1-10. Higher scores are better, this shows that a higher number of authorative sites are linking to yours. Moz have a free Open Site Explorer, which allows you to check which domains and pages link to your site and how authoritative these pages and domains are. The free version doesn't provide data on social metrics, but running your competitor site URLs through this checker should give you enough benchmarking data. If your domain authority, page authority and linking domains are considerably lower than your competitors, it means you need to work on your inbound links. Think about where you could distribute content and link back to your site to improve. Once you've gathered all this information, you need to consolidate and analyse your findings and translate this into an action plan. Whilst the above points are really only a starting point to a much wider competitive analysis process, they should give you an indication on where you are performing well, and areas you need to focus on to gain competitive advantage.